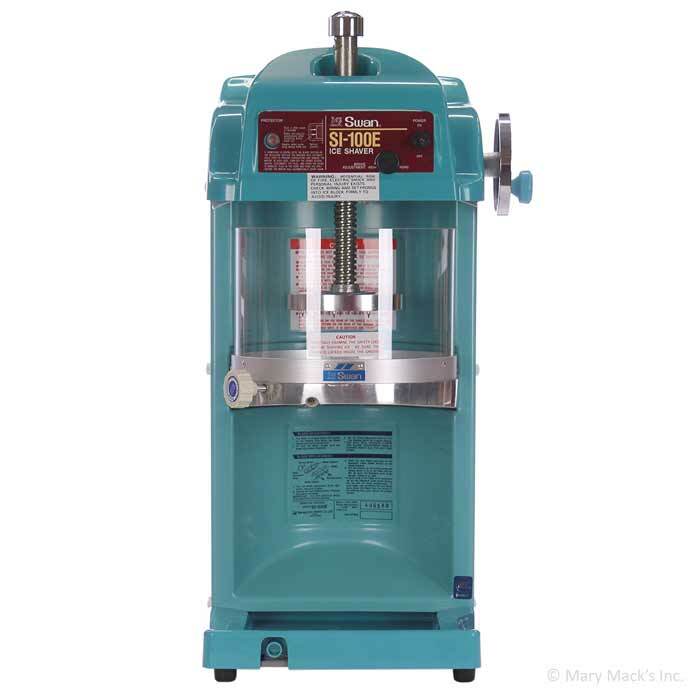 The Swan SI-100E is one of our best selling upright block ice shavers and is perfect for high-volume shaved ice business locations. 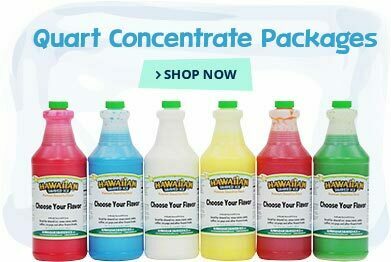 It creates ultra-fine snow that absorbs flavoring quickly and can produce 4.6 pounds of shaved ice per minute. 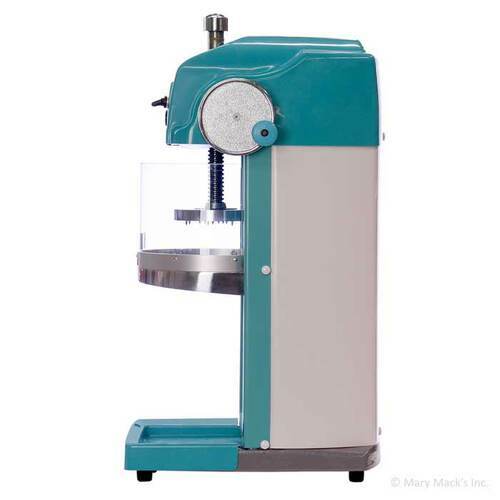 This Swan shaved ice machine can hold a 7-pound square or round block of ice and features nearly 10 inches of clearance beneath the shaving disc for easy access with large cups. 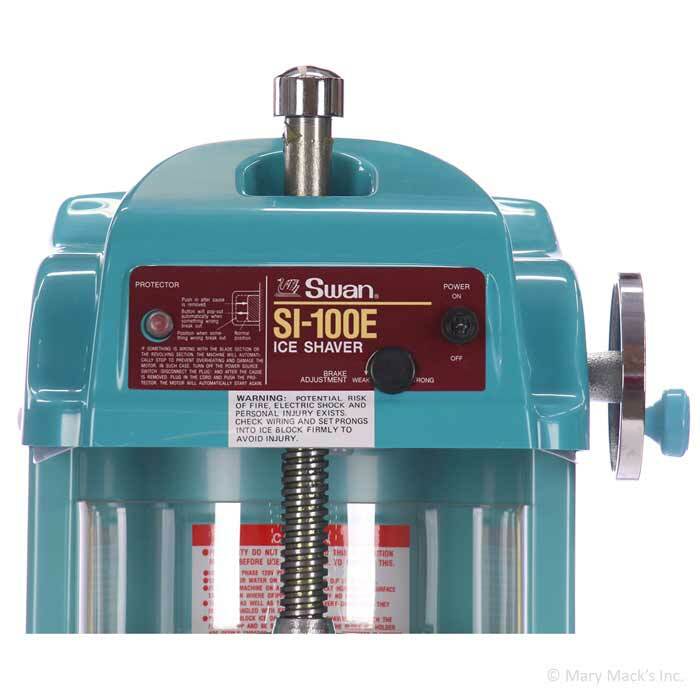 We recommend your ice be no larger then 6" wide by 6" tall if you are using a square block and no larger than 8" in diameter by 6" tall using a round block. 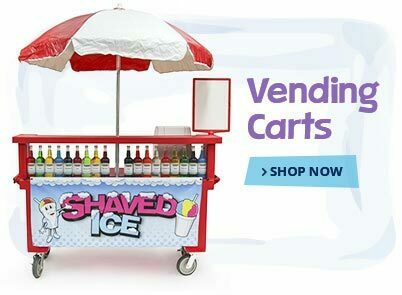 At 1-800-Shaved-Ice, we carry the Swan block ice shaver in other models, including 220-volt (international) or 12-volt (battery operated). 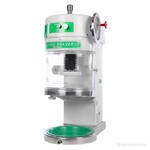 Each machine, including this model, includes a pre-installed blade plus an additional spare blade. 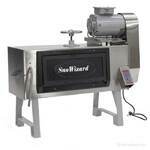 This machine has a 1⁄4 horsepower motor, is NSF approved and comes with a 1 year manufacturer's warranty. 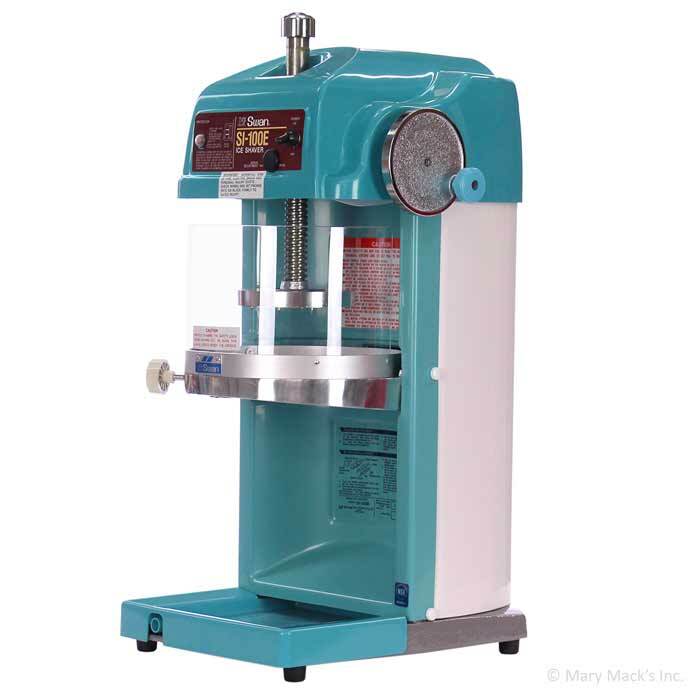 This Hawaiian style shaver is the signature Swan teal blue color which has always been an added plus for this machine. The Swan SI-100E is incredibly durable with a metal frame masked with a high-quality plastic casing. The convenient drip tray with drain tube is perfect for redirecting and draining any ice overspray. However, we do recommend adding a larger drip pan with this model to ensure you have additional protection from overspray under your machine. 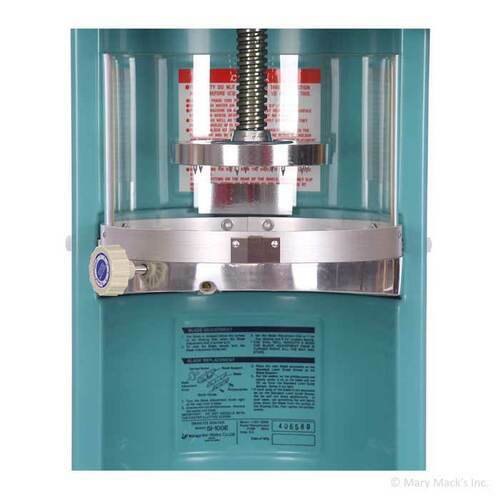 The machine weighs about 74 pounds and we recommend installing it on a sturdy and level surface. 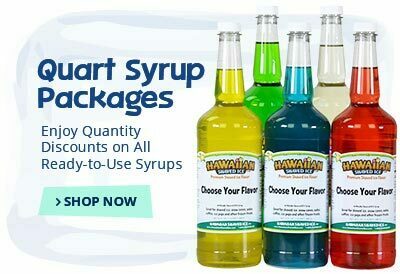 It does not include a hands-free foot pedal, however, we do suggest adding one to your shopping cart, you'll be glad you did. 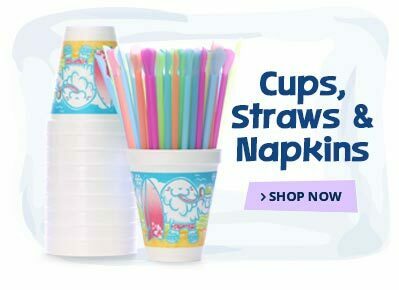 By doing so, you can easily use two hands to collect falling snow into your cup! 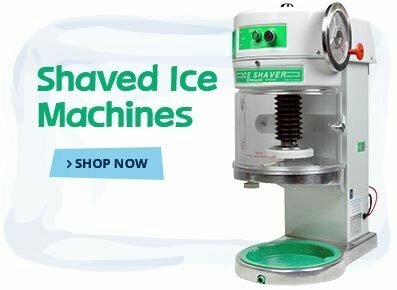 If you're unfamiliar with the Swan SI-100E or any of the other block ice shavers, we recommend checking out our Shaved Ice University to learn more and encourage you to watch the video we provided above. We suggest you thoroughly understand your machine before making a purchase and know the tempering process (allowing your ice to warm up before shaving). You may also refer to the user's manual below or call us any time with questions you may have. Shipping Dimensions: 22" × 37" × 23"
Transit times vary based on the shipping destination. 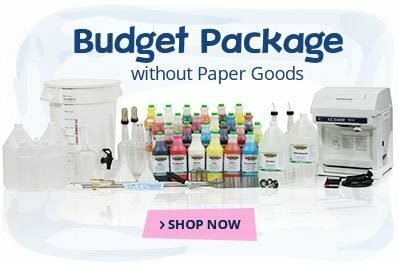 Shipping costs are based on the weight and dimensions of the item along with distance from our warehouse to the destination. Someone 18 years or older must be available to sign for this machine upon delivery.